When building the perfect aquatic environment, using reverse osmosis water is a good place to start. 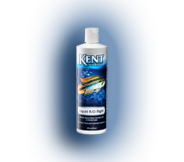 Unfortunately this process removes both unwanted and some of the things that are actually good for aquatic life. These dissolved solids form the water parameter called GH (General Hardness) or TDS (Total Dissolved Solids). 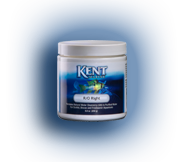 KENT Marine R/O products replace those beneficial dissolved solids and returns water to its natural chemistry. 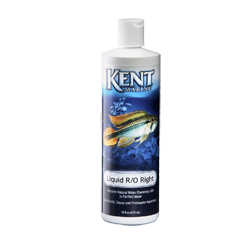 Liquid R/O Right is an easy to use liquid formulation of dissolved solids and balanced electrolyte system that returns the natural water chemistry to reverse osmosis, distilled or de-ionized water.